According to the annual report by prestigious American business and finance magazine Forbes, FC Barcelona is the fourth most valuable sports club in the world. 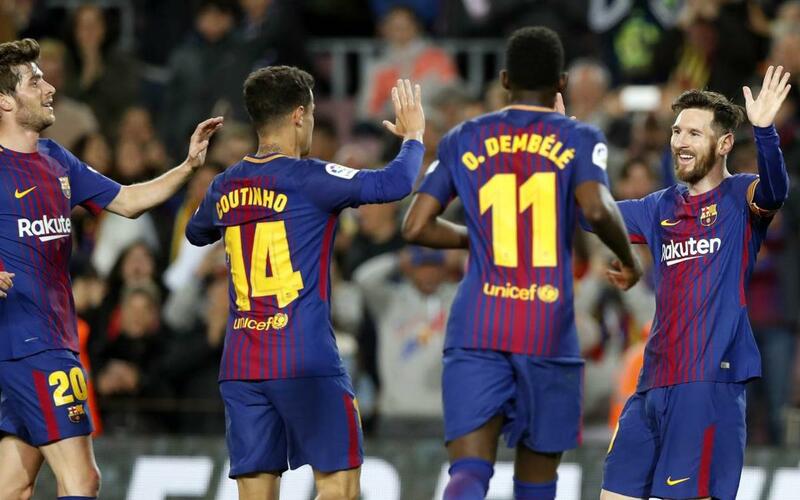 The list considers TV rights deals, player contracts and costs, among other parameters, to put together its ranking of the 50 valuable clubs in the world, in which Barça are calculated to have a total worth of 4,060 million dollars. Fourth place means no change on last year in terms of position, but the figures show a 12% rise on the 3,640 million dollars. Only three clubs are ranked higher than FCB. Top spot goes to the Dallas Cowboys of the NFL (4,800 million dollars), followed by Manchester United (4,1200 million) and Real Madrid (4.090 million dollars), meaning that Barça is the third most valuable football (soccer) team. The rest of the top ten are Barça the New York Yankees (4,000 million dollars), New England Patriots (3,700 million), New York Knicks (3,600 million), Los Angeles Lakers (3,300 million), New York Giants (3,300 million) and finally a tie between the Golden State Warriors and Washington Redskins (3,100 million). In other words, Barça are one of just three football teams in the top ten, with the other clubs all playing in America’s pro sports leagues (four from the NFL, three from the NBA and one from the MLB. The next football clubs in the ranking Bayern Munich (3,063 million dollars), Manchester City (2,474 million), Arsenal (2,238 million), Chelsea (2,062 million), Liverpool (1,944 million), Juventus (1,472 million) and Tottenham (1,237 million). Barça is the number football team in terms of shirt and stadium sponsorship, with an annual value of 247 million dollars. Manchester United are some way behind in second place (202 million), followed by Real Madrid (200 million), Chelsea (135 million), Bayern Munich (121 million), PSG (100 million), Arsenal (94 million), el Liverpool (92 million), Tottenham (81 million) and Manchester City (78 million).